I’m a typical Brit – I can’t swim! I tried snorkeling on my Backpacking trip around Australia in 1982 with my friend Wendy. It was on a coral beach somewhere in Queensland. It was a complete disaster! I couldn’t breath under water! The “flippers” turned me upside down and I got my bum scratched on coral! I was going to drown for sure and I hated it! Wendy didn’t like it much better! Wendy called me immediately and explained that she’d tried snorkeling a few time since our fiasco and would really like to master it. So being a good sport and for the sake of £7 I said “Okay! I suppose so. Get me one too.” Thinking to myself Well I wont be snorkelling but at least I’ll be supporting the old girl. However, once we got to Crete with our £7 Lidl snorkel gear I found that thirty something years on I was actually able to master this breathing under water malarkey. I was absolutely mesmerised with the amazing underwater life that snorkeling had opened up to me and actually fell in love with it with a passion. Returning home with my new passion I joined the local Scuba Club in order to learn more about snorkelling and gain some confidence (still being a very scared swimmer) and soon obtained my BSAC snorkel diver certificate. After selling the hotel at the beginning of January 2017 I decided I needed to take an immediate holiday and a break in the sunshine to recharge my batteries. So I Googled “Snorkeling in January” and up popped Belize in Central America. I will be honest. 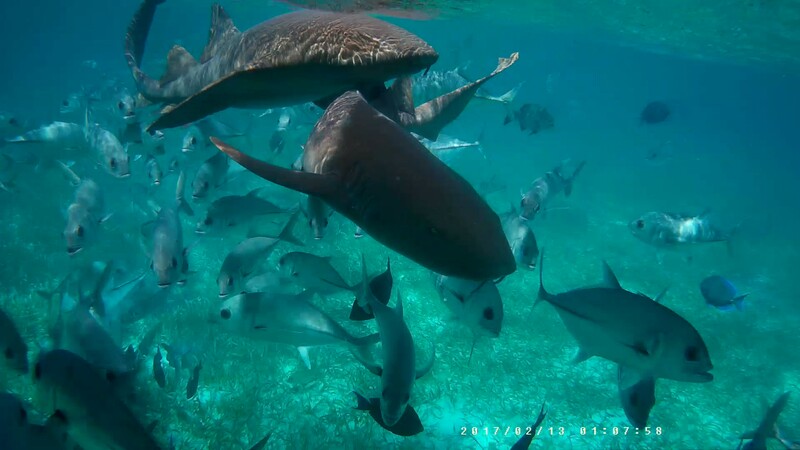 I didn’t really know much about Belize or even where it is, but soon discovered it is a serious snorkeling and diving destination, so I did some further research. As I discovered, Belize has the biggest Barrier Reef outside Australia. It is also popular for jungle treks, its amazing wildlife including howler monkeys, jaguars and exotic birds not to mention ancient Maya Ruins to visit and its famous “Blue Hole”. It ticked all my boxes! This will do me I thought. And before I allowed myself to think too much I booked my trip. The Belize Barrier Reef is a series of coral reefs straddling the coast of Belize and my snorkelling experiences included four separate snorkelling tours; Two from Caye Caulker taking us out to the local Reef off Caye Caulker; one from San Pedro on Ambergris Caye to the famous Hol Chan Marine Reserve and Shark Ray Ally and one from the southern area of the Reef off the little resort of Placencia. I’d bought a VicTsing WIFI Action Camera 2.0 Inch Full HD Sport Camera before I went that came with a lot of clip on gadgets for bikes, helmets etc, which I didn’t need. However I used it with its waterproof case to take my underwater videos, although in hindsight I should have taken some above water videos too. This was the one and only time I had the pleasure of seeing a turtle and it was on the last snorkel of my last day out on the Reef just off Placencia. I understand three types of turtles can be found off the shores of Belize; The Green, The Hawksbill and the Loggerhead. Unfortunately I’m not sure which one this is but it was certainly a sight to behold and the ultimate highlight of my snorkeling trip. While we were snorkeling in Hol Chan Marine Reserve we saw this Nursing Shark, only one of many Nursing Sharks that I was to swim with during my various snorkel adventures as well as with many Manta Rays. While it isn’t particularly clear in the video I did see the nasty teeth of this Moray Eel when it was inadvertently kicked by a snorkeler’s fin and retaliated. 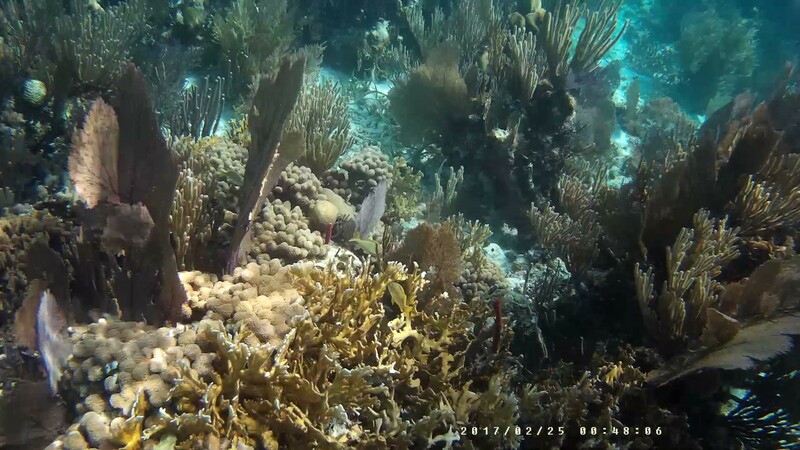 Cuttle fish are swimming past in this video during my snorkel dive off Placencia. These are only a small insight into the wonderful underwater world of the Belize Barrier Reef. I can highly recommend a trip to Belize for snorkeling and diving and following are links to the tour operators that I went snorkeling with. In my experience all three were very professional with a high standard of safety awareness as well as a strong ethical respect for the ocean and the reef and the guides were all great fun to spend a day out with. Caye Caulker – The Island Of Golf Buggies and Sleeping Dogs! San Pedro – The Moray Eel and The Golden Girls! San Ignacio to Placencia – No Room At The Inn! This post and others on this site contain affiliate links. Should you click through and make a purchase I may gratefully receive a small commission at no cost to you, which will contribute to the upkeep of this Travelblog.